Congratulations! You’re getting married! And where better to honeymoon than in Tanzania? You’ll get three honeymoons in one – mountains, savannah and beach. We suggest you don’t rush it – there’s a lot to see and do, and you’ll need chill-out time after all the excitement of the wedding. So take a three-week honeymoon to make sure you get the most out of this beautiful country. Together you’ll face the once-in-a-lifetime challenge of Uhuru Peak, the summit of Mount Kilimanjaro. Cuddling up together with a cold beer, gazing at the clouds below you and the sun setting before you after a hard day’s hike through montain forest and alpine heather is one memory neither of you will forget. And you’ll always remember the vast plains of the majestic Serengeti and the stunning wildlife of the Ngorongoro Crater. To end with, chill out with a visit to the white sand beaches and crystal clear waters of Tanzania’s Spice Island, Zanzibar. There’s nothing like kicking off married life with a bit of adventure. 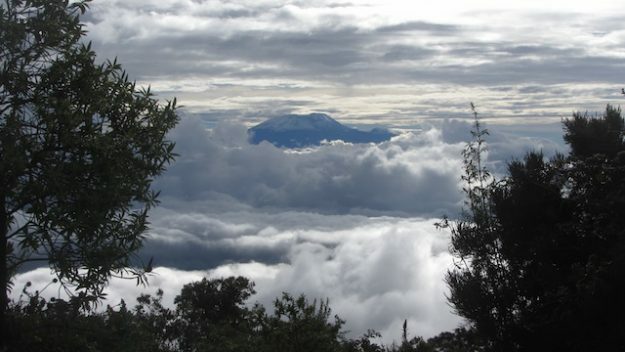 Start your honeymoon teaming up to climb Kilimanjaro. You’ll need to be fit and healthy and raring to go. Ascending Kilimanjaro is a physical and mental challenge and really underlines that you’re a team. Your adventure starts at lively Moshi, the base town near the foothills of Kilimanjaro and you’ll be driven through coffee and banana plantations to the start of one of the routes up the mountain. We suggest the classic Machame Route because we think it’s the most beautiful. It’s an six or seven-day accompanied hike that takes you through four different climate zones and you’ll be camping under a sky full of stars. Highlights include a scramble up the “Breakfast Wall”, a challenging but doable climb just after breakfast at the Barranco Camp on Day 5, and of course the ascent to Uhuru itself, started in darkness but your achievement greeted by the pinks and apricots of dawn on the rooftop of Africa. Tanzania is world famous for its plentiful and diverse wildlife set in a jewel of a landscape – the Serengeti National Park. 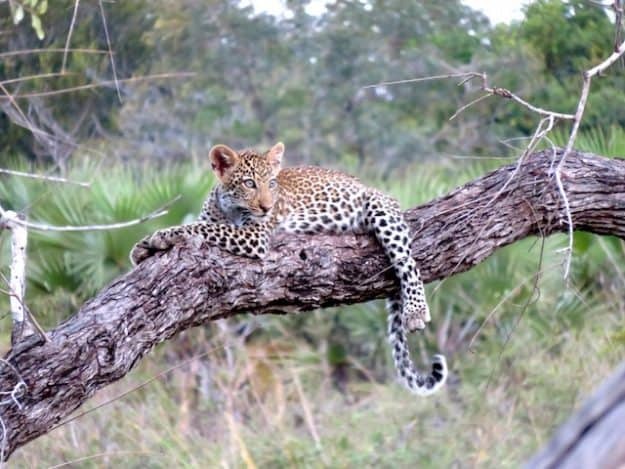 For your second part of your honeymoon, book a safari to make sure that you experience the wonder and the magic that is this very special, unique place. It is big skies, vast plains and a magical kaleidoscope of wildlife in all of nature’s glory. The majestic landscape is a stunning backdrop to one of the world’s most dramatic stories – the annual Great Migration of wildebeest and zebra across the savannah in search of food. You might choose to stay agile and close to nature with a mobile camp site but if you’re still a little sore from Kilimanjaro and have a bit of money to spend then why not stay in one of the 5-star luxury lodges that will have you living the high life amongst the wildlife. 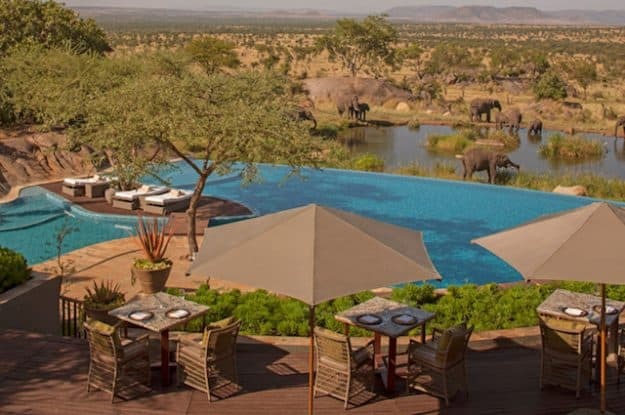 For instance, the Four Seasons Lodge will give you all the comfort, amenities and pizzazz that you’d never expect right next to a watering hole, popular with elephant, zebra and gazelle. Spend the days on private walks with the hotel guides and the evenings sitting out with a glass of wine from the wine cellar, gazing over the landscape as the sun sets, the shadows lengthen and the night birds call. 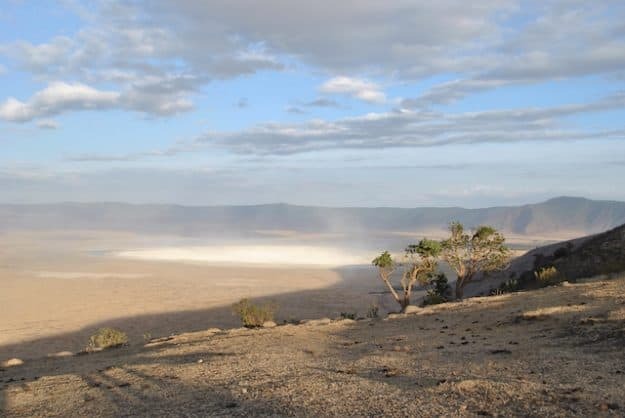 Another gem you can’t miss is the Ngorongoro Crater, Africa’s Garden of Eden, the largest unflooded volcanic crater in the world, where an amazing range of wildlife lives in a semi-enclosed and unique ecosystem which is also used as cattle territory by the Maasai. 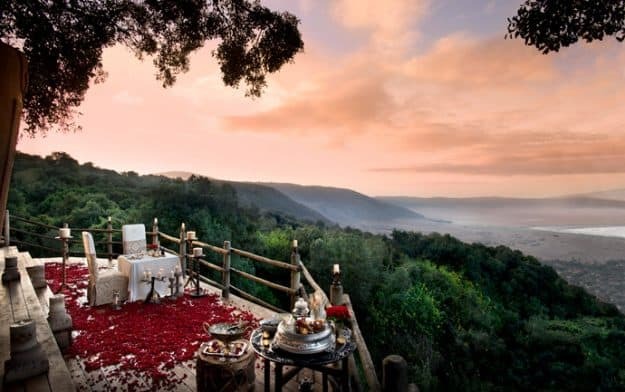 If you’re lucky you’ll be able to to see the Big Five which includes the rare black rhino, and there’s an array of other wonderful creatures such as jackal, cheetah, gazelle and bat-eared fox.For a perfect setting, stay at the &Beyond Crater Lodge, a 5-star lodge perched on the rim of the crater itself. You’ll have a four-poster bed, roll-top bath, a private butler, the ultimate in luxury cuisine and on-site wandering zebra. But the best part is that you’ll have an uninterrupted view into the crater itself. 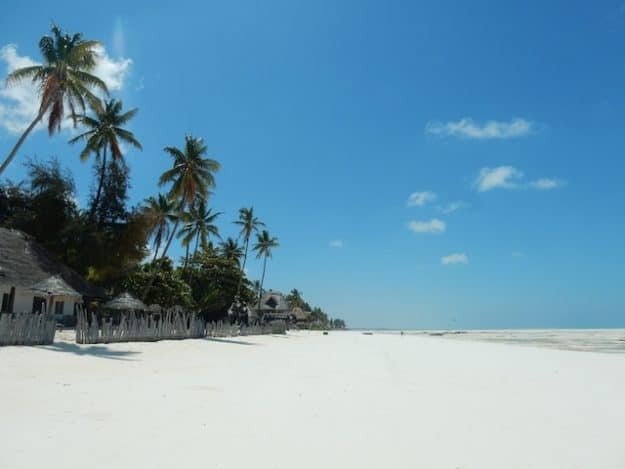 For the final adventure of your honeymoon fly to the azure skies and sparkling seas of Zanzibar, Tanzania’s spice island, green and fragrant with dozens of herbs and spice farms. You’ll have an amazing choice of white sand beaches (on which to sip a naughty cocktail) and turquoise waters to swim in and you can spend the entire time just chilling out. But there’s more to Zanzibar than relaxation – you’ll have the opportunity to kite surf, snorkel and dive in some of richest waters in the world. Take a cruise by dhow, a traditional wooden sailing vessel, to Pemba Island, just to the north of Zanzibar. Pemba Island has a stunning coral reef and vertical dive wall and is rich in all the marine wildlife you’d like to see – and there’s a great chance of meeting up with some dolphins, too! 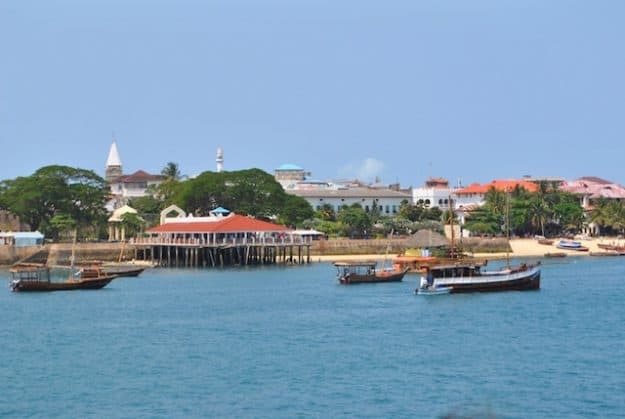 Take on some culture in the Zanzibar’s Stone Town, a coral-hued architectural maze of ancient buildings, touched by Arabian, Indian, African and Portuguese influences, and don’t forget to visit the amazing street food market at the Forodhani Gardens. If you’re looking for THE perfect honeymoon, Tanzania has everything to offer. It really is three honeymoons in one, and what better way to start your married life together than an amazing experience infused with romance and adventure, which is, after all, what married life should be about. Our team is thrilled to plan together with you a unique love adventure to crown your bond. You can contact us here.